Stop paying and see what happens. Satellite potentially is a great solution for rural. However the actual capacity must be quite restrictive. For example Freeview broadcasts I have found are very compressed, and fast motion complex image are almost unwatchable. I am guessing for them in increase it, they would need to pay for more capacity, or if maybe the satellites hardware needs updating? Tks again Rich. You make it sound like Satellite is poor, narrow bandwidth, hamstrung. Why is all the sport I watch, great? For that matter anything in HD (I have HD ticket) I don't see any glitches, periods of decreased quality, its always great. I know on some if not more than some doco channels its degraded, and I think you and I may have mentioned that months ago. Sea looks great, till it moves and its pixellated. Consistent pixelation, which means lower res. Everything goes up. Sky wise, I assume its typically a CPI based type of figure? If so, its BAU, like the annual reviews that we all decline to decline. May well be, but TBH I have found it to be very very good I(Sky). My FTA is Terrestrial, I have no idea how sat compares. A lot of that is the interlacing/deinterlacing, which can only fill in the missing lines based on guesses from previous and upcoming fields, which when things are moving fast are not much use. Worst on the 576i crap that is most of their channels. Based on the people I know who have sky. But I doubt there are any official publicly numbers on this. I don't know if they would put that info into their shareholder newsletters either. Many of the elderly have sky for the old TV shows, and UK TV. TVNZ Ondemand for Coronation street. So they are also chasing the content to a degree. Also many elderly are still using old TVs that aren't free-view compatible, so are using the sky box as a way to get free tv channels. 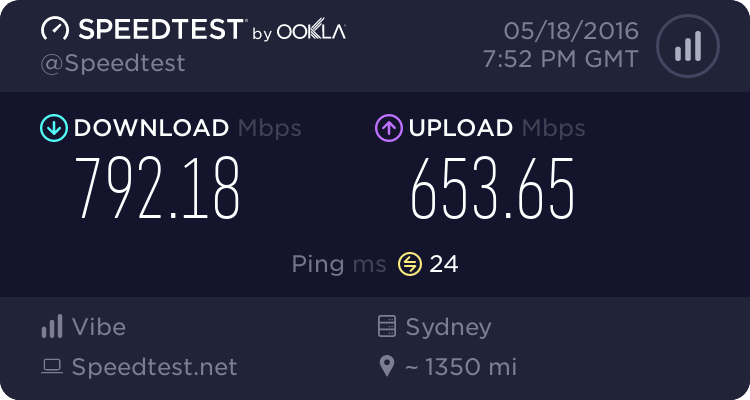 One elderly person I know was given free Mysky for their basic connection. They are far less likely to change something that works for them. They are short of bandwidth. The move to dvbs2 will help with that, but the modulations were made when 4-5 megabits for a SD channel was a massive amount and now there are channels running at under 2 for long times. Chances are the other channels are getting screwed down inorder to make room for the sports which by their nature are very bursty with motion, and then long periods of almost nothing when they show scores and similar. I agree with you. But it sounds like they have not quite nailed internet streaming. Surely improvements can be made. I know netflix is cached but it works so darn well. How do you know this to be the case. Local bandwidth is quite cheap. Surely Vodafone would do them a deal or something. I was watching some water falling onto the ground while streaming the cricket the other day when they had rain delays before that shortened 30 over ODI. It was struggling to display that properly. But other than that it has been ok.
Vodafone can't magic up more satellite capacity. Moving belatedly to dvbs2 and h264 will help. But probably by the time they finish everyone else will be on h265 and something else to get more capacity. I don't think the broadcast tech is really that important to the whole situation. Sky's business model has been based on owning all the contents, which allowed them to cross-subsidise like crazy (because people were under the mistaken impression they were getting value for money from a $50/month TV & movie bundle that was actually helping to fund Richie McCaw's lifestyle) and gave Sky greater rights bargaining power because free to air broadcasters just couldn't compete. But fragmentation is Sky's enemy and we have reached a point with the likes of Netflix and Amazon Prime entering the market where this fragmentation is never going away. Not many people are still willing to pay the Sky basic tax to support our poor starving rugby stars. Hence Sky seeking out a merger to find new ways to cross-subsidise their exclusive content and incorporate it into exotic new bundles. Sport in particular is like an addiction (I bet there are people here who have committed crimes to secure sufficient funding to watch live sports) hence the comcom focus. Fragmentation isn't Sky's issue. If you enjoy the lineup on Basic, such as UKTV, the doco channels, and the various lifestyle channels, and sport, you cant go to Netflix or Lightbox or Amazon to get those. You can find similar channels, but not the same. I find NF doco lineup very meh. They are more like fillers. The issue is the people think that the now standard pay tv cost is $15 per month. So, Basic needs to be $20 max, lose the sports subsidy. Cost to provide the service is high. Brick and mortar around the country, paying contractors to install dishes, repair dishes, dishes are circa $400. Last years results saw the profit per subscriber at $15 per month. Takes ages to recover the setup costs. SVID provides no brick and mortar, dishes, STB's, and a bare minimum support staff is needed.